Spring is in the air, and I'm sure we're all looking forward to warmer days relaxing in our gardens, surrounded by beautiful plants. I know I am! 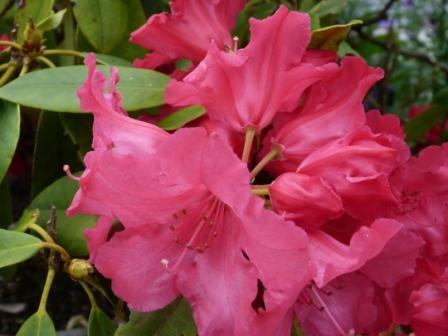 But what are the best plants to grow for colour, form, fragrance, reliability and hardiness? There are so many to choose from. If you need a few ideas and a bit of inspiration, I've chosen a list of 25 wonderful plants for you to take a look at that are easy to grow and will create a truly wonderful display. 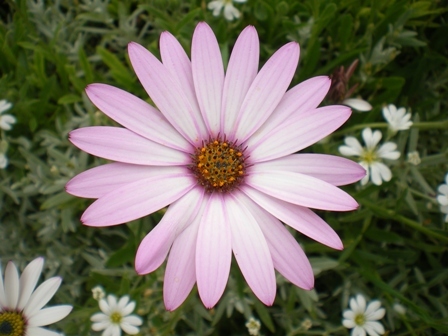 ...and there's also a chance for those who have found a 'real cracker' to tell us all about their favourite plant, too! 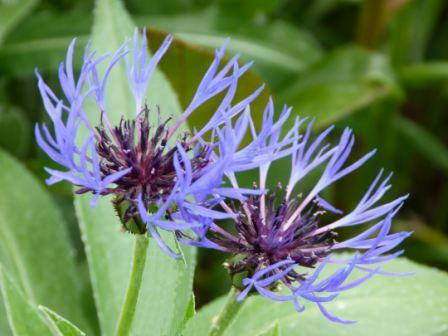 The delicately beautiful form and colour of the perennial cornflower, centaurea; the gorgeous deep pink blooms of a fantastic pot-grown rhododendron; and the stunningly-coloured daisy heads of osteospermum. I hope you enjoy looking at the plant pictures and creating your own little piece of heaven! Simple Pergola Plans: Design 2 NEW! Attached Lean-To Pergola Plans NEW! Video Tutorial - How to Lay a Patio NEW! If you think you may have a friend who would also like to read it, all they need to do is fill in the sign-up form here to have it sent automatically. Occasionally, I receive exclusive voucher codes from companies that I use. I will pass these on to you so that you can receive these discounts too! Have great fun this gardening season. Copyright © pergolaplans4free.co.uk 2006. All Rights Reserved. A beautiful garden is good for the spirit and food for the soul! Love the templates for the Rafter Tails! Using Design #5.Thanks so much." Laura. 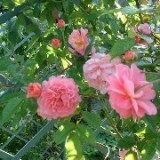 5 climbing roses for £19.99 + 5 shrub roses for FREE!